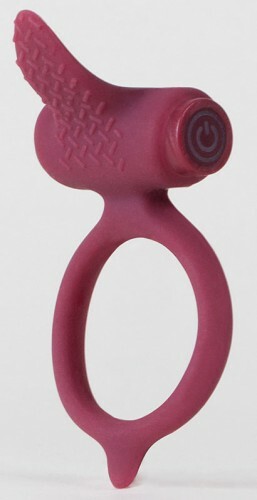 The new Bcharmed Classic is an affordable 5-function, silicone, waterproof massaging ring. It features a textured tickler made of body-safe silicone with a 5-function waterproof motor. The latest product by BSwish wants to accommodate all, no matter the size. The customer can use the backlight click button to progress through all 5-functions, allowing easy adjustments of the power of stimulation.The Bcharmed Classic is waterproof and can therefore be used in the bath or shower. The motor is removable, which makes the product easy to clean. The Bcharmed Classic has a MAP of $15.99 and ships in an easy-to-assemble P.O.P. counter display for enhancing marketing assets as well as last-minute register purchases. As a member of B Swish’s Classic Line of personal massagers,the Bcharmed Classic arrives with batteries and is available in three colors, including Merlot, Albert Blue, and Black. To learn more about the Bcharmed Classic please visit B Swish’s B2B website.